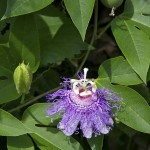 I am trying to eradicate a passion flower which is taking over the garden. Could you help with advice about week killer, etc. ?